I have a new website and need to point my domain to new servers. Can you set this up for me or walk me through the process of making these changes? 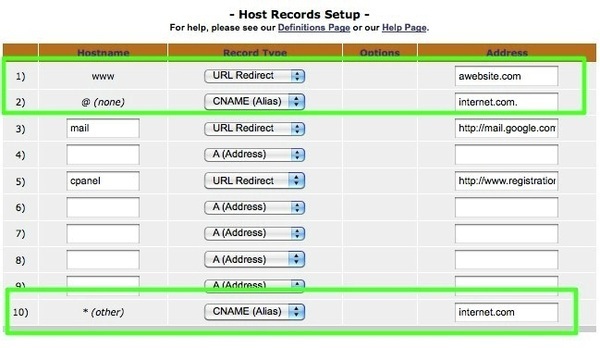 I need to create A-Records for "www" and for my root domain. That's one record for "www" pointing to 199.34.228.59. And one record for the root domain pointing to 199.34.228.59. If you'd rather give it a go yourself, though, you're more than welcome to do so. Our IP Addresses are 199.34.228.55, 199.34.228.56, 199.34.228.57, 199.34.228.58 and 199.34.228.59. You can use whichever of these you feel like using. They all function the same way and they all work properly. If you find this confusing at all, just use the 199.34.228.59 IP. It ultimately doesn't matter. 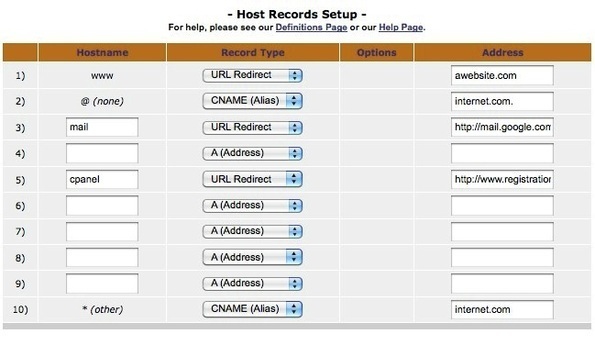 The first step is to log in to your account with your domain registrar. That's all fairly straight forward. Where it becomes complicated is that each of the dozens and dozens of registrars have their own interface - an interface which has often been set up in the most user unfriendly way that you can imagine. But most of them have placed the records you need to change under a section called Edit DNS Records (or some variation of that). Start by trying to find this section of your account. Can't find it? Please email your registrar the example email noted above. We won't be able to help you find it as we have no way to see your domain account. Found it? Great, continue on! There are a five records in use on this page and a bunch of blank records. All you care about - and all you need to change - are the records relating to www, @ and *. Just make sure each of those records is an A-Record and pointed to the 199.34.228.100 IP. Keep in mind that that your registrar may may not have three settings for www, @ and *. They may only have two: one for www and then one of the others. This works just as well. Note that it can take your registrar up to 48 hours to update their servers with a change like this one. It usually doesn't take more than a few hours, but this is something to keep in mind. Nothing is happening on our end when you point a domain here (it's either pointed here correctly and it works, or it is pointed here incorrectly and it doesn't), so we can't speed the process up. Also, it never hurts to ask for your registrar's help. The change we're asking for is the kind of request they get from other web hosts all day long. So they should be able to make these changes for you with their eyes closed.